All lectures will take place at Atkinson Hall. See directions. 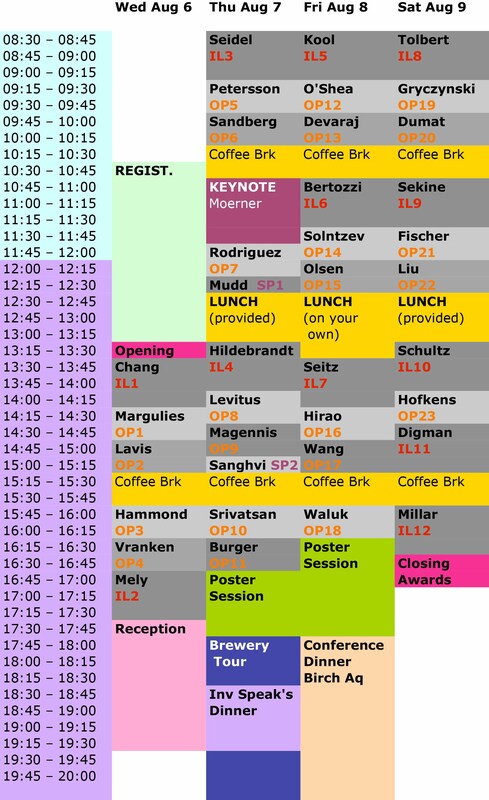 See the conference program below, summarizing the main events, including Invited Lectures (IL) and Oral Presentations (OP) and short presentations (SP).